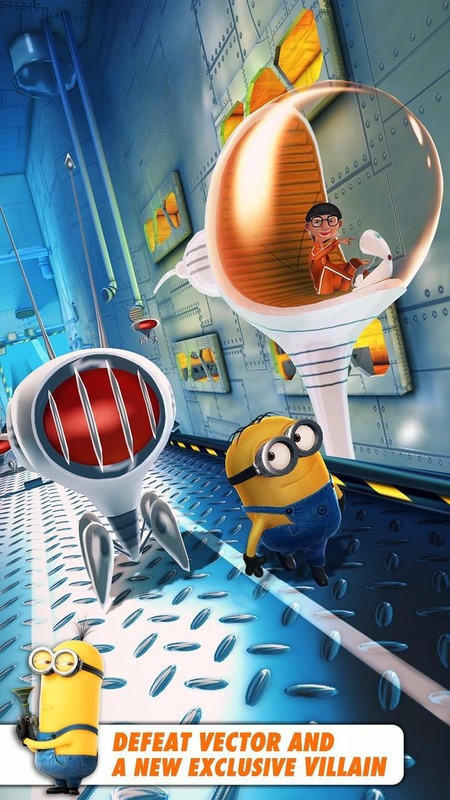 Fans of Gru and his yellow henchmen have had to wait three years for a sequel to the 2010 animated blockbuster, and while Despicable Me 2 is expected to hit theaters early next month, we all know the last month of anticipation is the hardest. 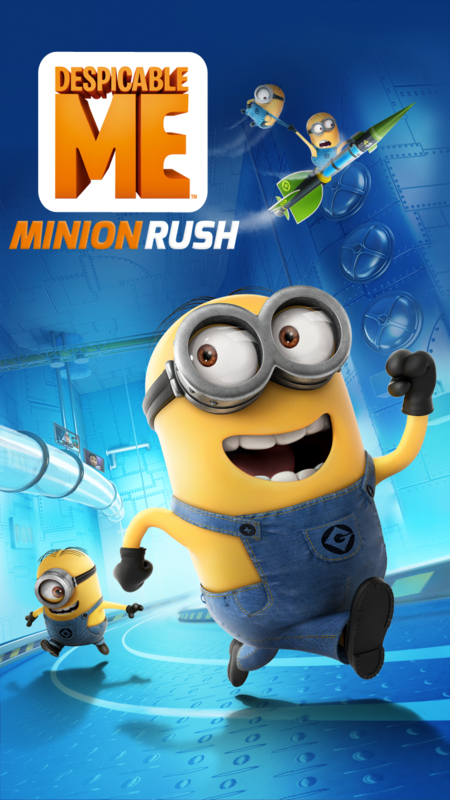 Lucky for fans, Gameloft has dropped Despicable Me: Minion Rush into the Play Store to help that last month go by just a tad easier. 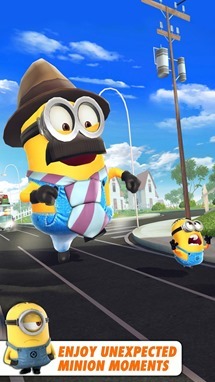 While this licensed title may not feature the most original gameplay out there, it does give players a chance to see those adorable minions in all their charming glory. 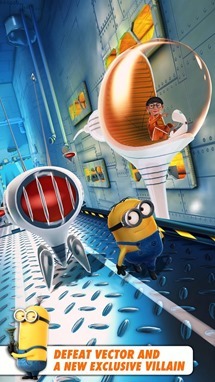 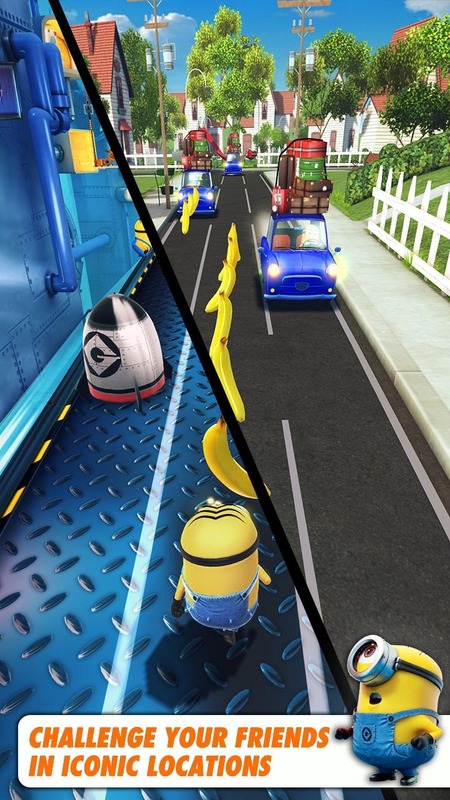 Minion Rush places gamers in control one of the trademark minions as they compete in various challenges and obstacle courses to impress their boss, the super-villain Gru. Minions jump, fly, dodge, collect bananas, and take part in general mischievous behavior in order to earn the title of Minion of the Year. The game's personality and cutscenes might even be charming enough to distract gamers from the fact that they've played this game before. Despite its more than passing resemblance to Temple Run, there are enough missions and unlockables packed within to perhaps make this title worth a look even to mobile gamers who have never seen the original film. 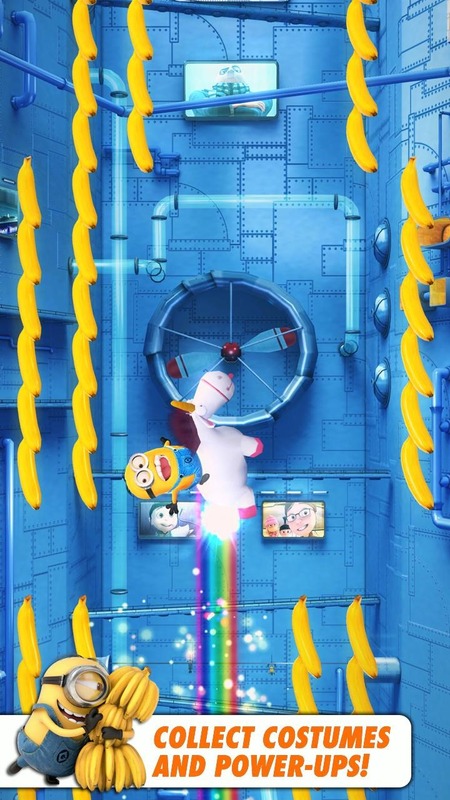 There are in-app purchases to be had here, and the game urges you to share your results on Facebook right from the beginning, so keep that in mind as you rush to the widget below to grab a game that is otherwise free to play.